Looking for a new home away from the traffic and noise of the city and by the water somewhere that can offer you a much more peaceful time? You’re not alone. With “lifestyle” emerging as one of the biggest buzzwords of the property market in 2017, experts are predicting we all now have a stronger focus on achieving a better home-work- stress life balance. Social analyst and demographer Mark McCrindle believes that kind of appetite will be driving many of our housing decisions. “Australians are now looking for financially sustainable options which meet the needs of both lifestyle and affordability, with homes that offer us social connection and lifestyle,” he says. As a result, quality new developments on the coast are experiencing a huge number of inquiries, and subsequent sales. One of the hottest is Trinity Point, a $388 million masterplanned community being built at Morisset Park on the shores of Lake Macquarie, 88 minutes’ drive north of Sydney and 30 minutes’ south of Newcastle. With a planned 188-berth marina, a five-star hotel, resort-style facilities such as a pool, gym and luxury day spa alongside the homes, as well as a foreshore boardwalk surrounding the complex, it’s appealing to empty-nesters, young families and professionals alike. “When I first walked onto the site in 1999, I realised how special it was,” says Keith Johnson, chief executive and owner of the developers Johnson Property Group. “We wanted to add value to the local community and create the best lifestyle on offer we could. Trinity Point’s profile has been raised by its association with one of the area’s best-known locals, former Miss Universe, model and businesswoman Jennifer Hawkins, who’s contracted as an ambassador. Its star-pulling power wasn’t hurt either when former cricket captain Michael Clarke became one of the first to buy on the 23-hectare estate, paying $1,388,888 million for a three-storey, four-bedroom terrace. Already, about a quarter of the 189 residential land lots and two- to four-bedroom terraces have been sold, while the 250 apartments planned for the site will start selling off the plan later this year. All the pontoons of the marina are expected to be completed by the end of this month. Buyers are mostly from Sydney’s north and north-west suburbs and are a mix of empty-nesters buying as holiday homes and intending to move in on retirement, owner-occupiers, families and investors, says Johnson Property Group marketing director Kristy Lee. That lifestyle mindset is also what’s fuelling demand for other developments by the coast outside Sydney, too. “The beachside lifestyle and quietness not too far from Sydney is what’s appealing for a lot of people,” says Mat Steinwede, of McGrath Projects, who’s marketing the Akoya development, 12 large apartments overlooking Terrigal beach on the Central Coast further south. McGrath Terrigal principal Jaimie Woodcock, who’s overseeing another new building nearby, Marina at Point Frederick, with 29 luxury apartments surrounded by waterways, agrees. “People are now looking for very high-quality, low-maintenance homes with a great interior fit-out in spectacular locations not too far away from Sydney. At Trinity Point, the 94 marina berths, with the Les Binkin-designed marina intended to be fully operational by late 2017, will be available under a two-year licence agreement to buyers of land or terraces at the residential community. “With Sydney offering a limited number of marina berths at premium prices, the marina at Lake Macquarie will offer a picturesque location for new berths,” says developer Keith Johnson. Shell Cove will be the biggest new marina on offer with 300 berths, developed in a joint venture with Frasers Property and the Shellharbour City Council. They’ll be leased out by the operator with registrations of interest already being gathered. 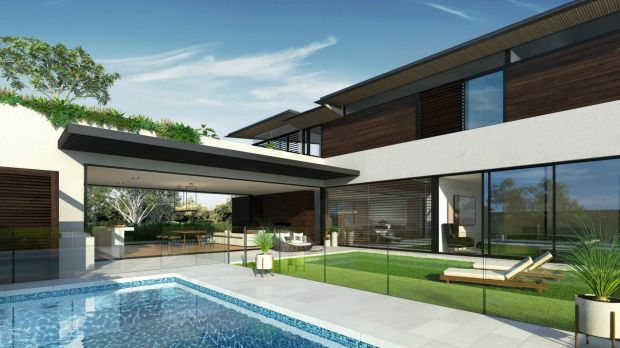 Frasers already has a tradition of developing marinas with its housing projects, with marinas also under construction in Port Coogee in Western Australia and at Cova on the Gold Coast. NSW’s third major marina-housing development has been approved at Snug Cove in Eden, on the south coast. Commercial joinery company owner Mick Scarfo had often holidayed at Raffertys Resort at Lake Macquarie and loved the area. So while looking for an affordable investment property that could offer resort-style living, and researching every opportunity from Sydney to Newcastle, he was delighted to come across the plans for Trinity Point. 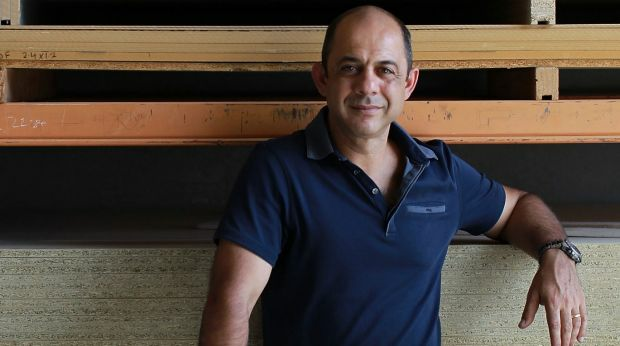 “I found Sydney was a totally rip-off in terms of prices, but going further away to Lake Macquarie I got looking at Trinity Point and loved what I found,” says Mr Scarfo, 46, who runs his Scarelli joinery business from Bankstown. In fact, he ended up liking it so much, he bought not one $588,888 block of about 620 square metres on which he decided he’d build his own two-storey, four-bedroom house, but two, almost directly opposite each other. He plans to use one for holidays for the family and rent the other out as a holiday let. Later, he imagines he’ll move up there permanently when he slows down towards retirement. “I think my wife will just love it!” he says. “It’ll be a good investment with a decent return, especially with all the hundreds of millions being put into the infrastructure, and then, later, a wonderful place to live. I’ll look forward to going to the hotel for a drink and using the spa and then going to all the restaurants right next to the house. When property-buyers look for a true lifestyle destination, Trinity Point ticks many of the boxes. Quite apart from the facilities that will be offered on site, it’s within an hour of the Hunter Valley wine region, 30 kilometres of unspoilt beaches, more than 12 golf courses, three state forests and the picturesque Watagan Mountains. The masterplan concept design for the development was drawn up by architects Squillace. It includes not only the marina but also a 240-seat restaurant with outdoor dining, a function centre and a cafe, as well as shops. It’s also close to the Morisset town centre and train station, while seaplanes fly from Rose Bay to Lake Macquarie in 25 minutes. Trinity Point will have three- and four-bedroom terraces (300-440 square metres) from $1,138,888 to $1,338,888; nine different house and land packages from $998,888 to – “Well, the sky’s the limit!” says marketing manager Kristy Lee – and land blocks (450-1651 square metres) from $348,888 to $1.5 million. 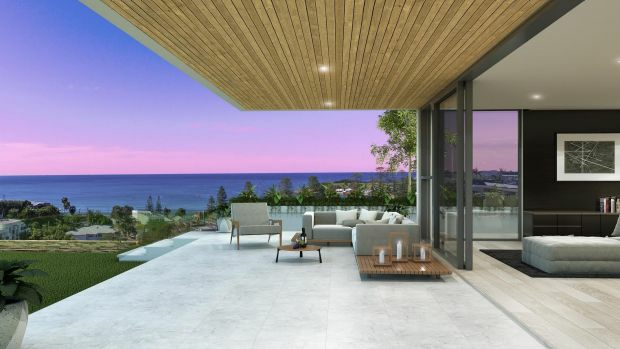 With 180-degree views over Terrigal Beach, this north-facing boutique development designed by Slater Architects will have 12 one-, two-, three- and four-bedroom apartments. Being developed by Ezy Projects, one beds (67 square metres) are priced from $650,000, twos (108 square metres) from $850,000 and threes (133-149 square metres) from $1.2 million. The four-bedroom penthouse has already sold at $2.7 million. With waterways and parklands all around, this six-level building will have 29 two- and three-bedroom apartments, close to Gosford Sailing Club and its marina. 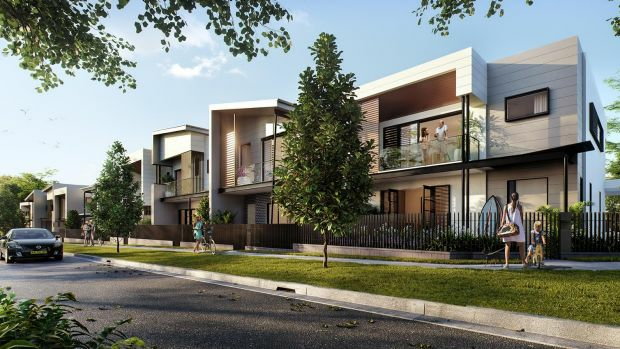 Being developed by Gosford-based developer Central Real, and designed by integratedDESIGNgroup, the twos (89-112 square metres) are from $630,000 and threes (108-162 square metres) are from $730,000. Completion is due May 2018. 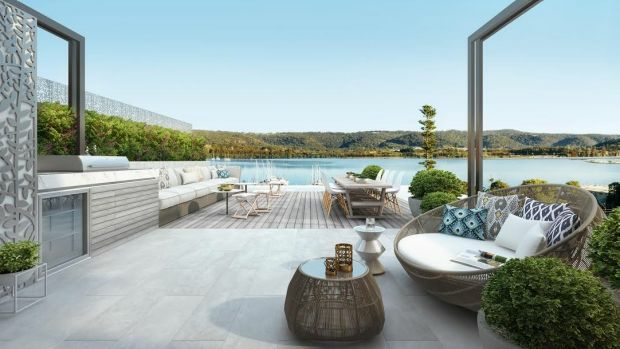 Frasers Property’s $600 million Shell Cove development just south of Wollongong includes the construction of a new boat harbour and a 300-berth marina, as well as a new town centre. It includes terraces, townhouses and apartments which will be available off the plan from February. The new release of two-, three- and four-bedroom homes will range from $595,000 to $1.025 million.